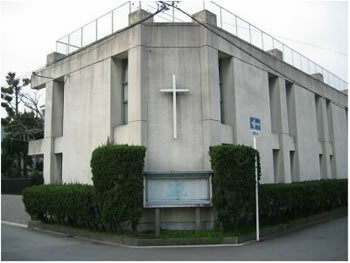 Osaka Bible Seminary is the only Bible college in Japan sponsored by Christian Churches and Churches of Christ. It was established in 1937 by Harold Cole at the invitation of M. B. Madden, was forced to discontinue during World War II, and was reorganized in 1950 under the leadership of Paul's father, Martin B. Clark. When he died in 1989, Paul P. Clark became president and continued in that capacity until March 2001, when one of our long-term goals was realized in passing on the leadership to a Japanese president, Brother Akinori Nakano. 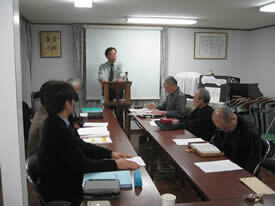 Upon Brother Nakano's retirement, President Daiki Kishimoto is now leading OBS. 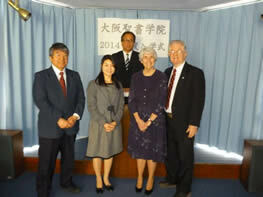 In addition to Dr. Clark, the school has a faculty of two full-time and several part-time Japanese professors and lecturers. 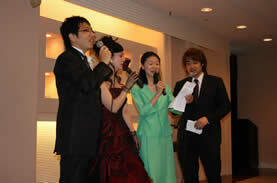 Over 110 graduates have gone out from OBS, serving all over Japan, from Hokkaido in the north to Okinawa in the south. Over 90% of living OBS graduates remain faithful in the church, and about 90% of the four-year graduates are in leadership ministry. OBS exists to train preachers, pastors, evangelists and other Christian workers for the church. The school year in Japan begins in April and ends in March. During the two-month summer break, students are active in evangelism projects--preaching, Vacation Bible Schools, camps, etc. They are also involved in working with local congregations during the school year. 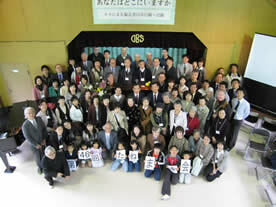 In November of every year OBS sponsors Tanemaki Kai (Seed sowing rally). 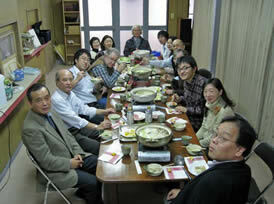 Christians and alumni from all over Japan come to participate in the fellowship. 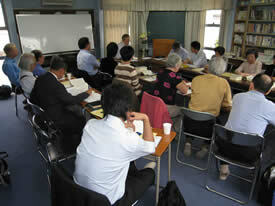 In April 2004 OBS began a Distance Learning program via the Internet. 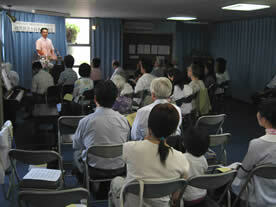 Weekend extension classes are also held in various congregations around Japan, as well as on campus. Pray for students for OBS! 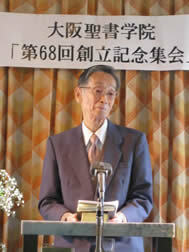 A TRIBUTE TO PROFESSOR EMERITUS AKIRA ODA: Brother Oda graduated from OBS in the first graduating class (1952) and taught New Testament and Greek, along with some Hebrew over 46 years until his retirement in 1998. 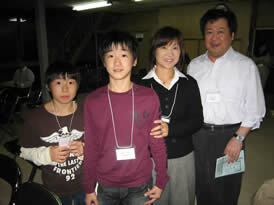 Brother Oda passed on to the presence of his Lord and mentors who had preceded him in January 2008. 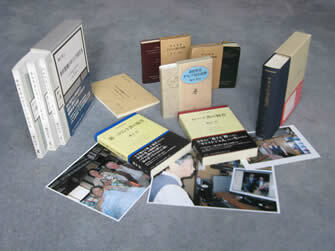 He published the first Greek-Japanese Lexicon, the 4th totally revised edition being published in 1998. It is included in the CD ROM J-BIBLE (similar to the U.S. Bible Works Database and Study Aids). 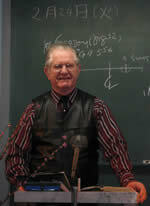 His three-volume boxed set of his Greek grammar was published in 2003. He authored several other commentaries and Bible study helps as well. 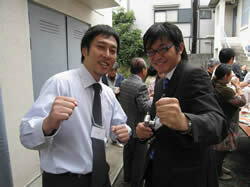 We are grateful for having known Brother Oda for these many years as a spiritual senpai or mentor. 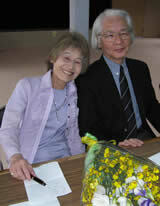 RETIRED PROFESSOR NICK SAITO "graduated" into the Lord presence in March 2011. He was hospitalized in February and, sensing his life on earth would be short, he asked permission to leave the hospital on the last Sunday of February to preach his last sermon. His theme was evangelism! 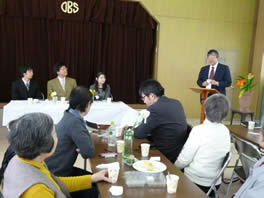 Evangelism was also the theme for his memorial service on April 9, which was well attended by brothers and sisters from all over Japan. Brother Nick graduated from Pacific Christian College and Emanuel Bible Seminary before returning to Japan to teach at OBS and minister to the Kamizono congregation in Kobe. 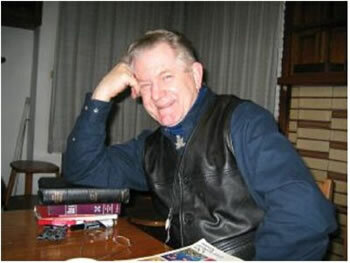 His wife Naomi, a graduate of OBS and Lincoln Christian Seminary, also taught in the Christian Education department of OBS for many years. They have been a great and continuing influence through the discipling of many of our OBS graduates in ministry and evangelism. He was an exceptional homiletician and published his own text not long ago. 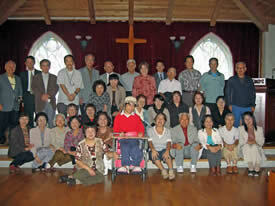 Naomi continues in ministry with the congregation there.